Doctor @ Avenue K Strip Mall. In addition to his famous cut-rate surgical practice (any operation for $129.00), Dr. Nick frequently appears as an expert witness in attorney Lionel Hutz's many malpractice suits. Says: "Hi, everybody!" and "You tried the best, now try the rest." Homer enlists Dr. Nick to help him gain weight. 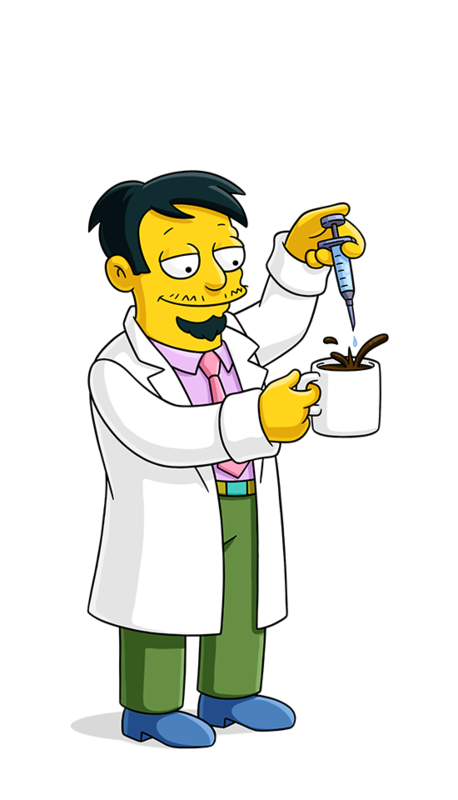 Dr. Riviera fumbles during Homer's open heart surgery. Bart and Milhouse have fun with firecrackers. Lisa stumbles upon the grave robber while spending the night in the cemetery. The guys break into a sky box at the Super Bowl, only to realize it's owned by Rupert Murdoch. I know I'm supposed to cut something, but what? And where? These drugs will make the operation seem like a beautiful dream.